The company Acero s.r.l. has been distributing, electrical and pneumatic components for industrial machinery and process control systems since it was found in 1986. 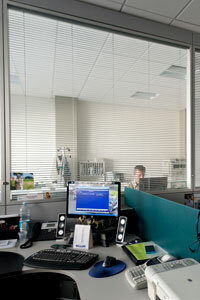 Our headquarters is home to 15 team members, spread over a property of 3000 m2 of which 1000 m2 are covered and indoor. Industries such as – Mechanical, Dairy/Food & Beverage, Chemical, Plastic Molds etc. For more details about brands, go to PRODUCTS. Iscr. Reg. Impr. e C.F./P.IVA 01009390392 - R.E.A. RA 114322 - Capitale soc. € 51.480 i.v.